I only discovered yesterday that this type of card is called a joy-fold card; I'd seen them before but never made one before. 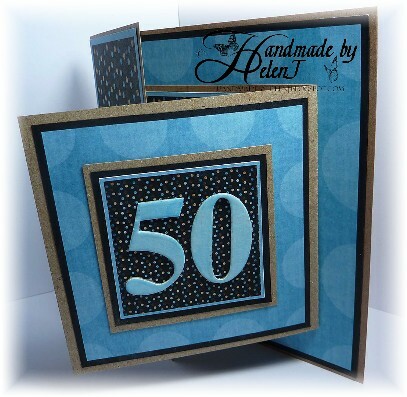 This card is for a good friend, our son's Godfather, who turns 50 next week. The backing papers were a freebie and I used Craft Artist 2 Professional to print out just the sizes I needed with borders to match - it saves a lot of printer ink to do it this way! 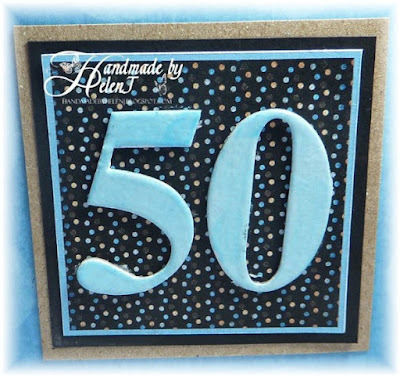 The numbers are chipboard painted with white acrylic then once that was dry I coloured them with Arctic Blue Promarker & embossed with clear Wow Embossing Powder to finish. 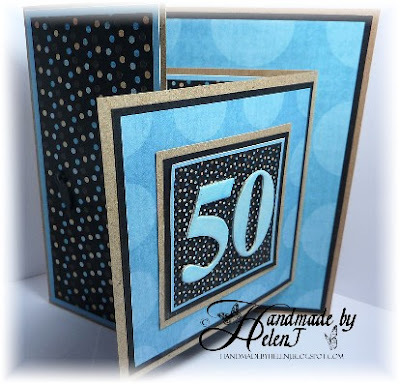 Papermania Kraft Cardstock, Crafts House chipboard numbers, Wow Embossing Powder.